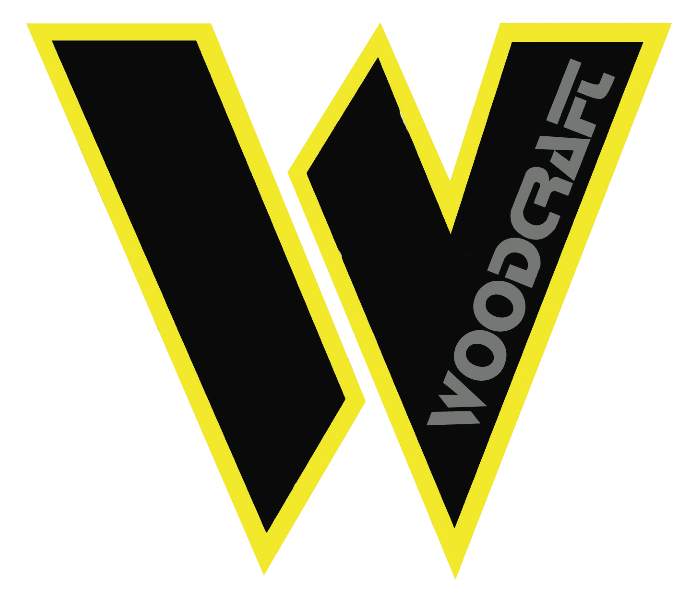 I have been using Woodcraft products literally since my first day on a track with my own bike. In my research one name came up over and over again; Woodcraft. Everyone's opinion was simple, buy their products. They are built by racers for racers. At the time I figured if their stuff was good enough for racers it had to be good enough for me. Years later, I am still using those original parts I bought. Even though I have crashed since then, every single part I bought is still usable. One other thing that I bought through Woodcraft; my race plastics. 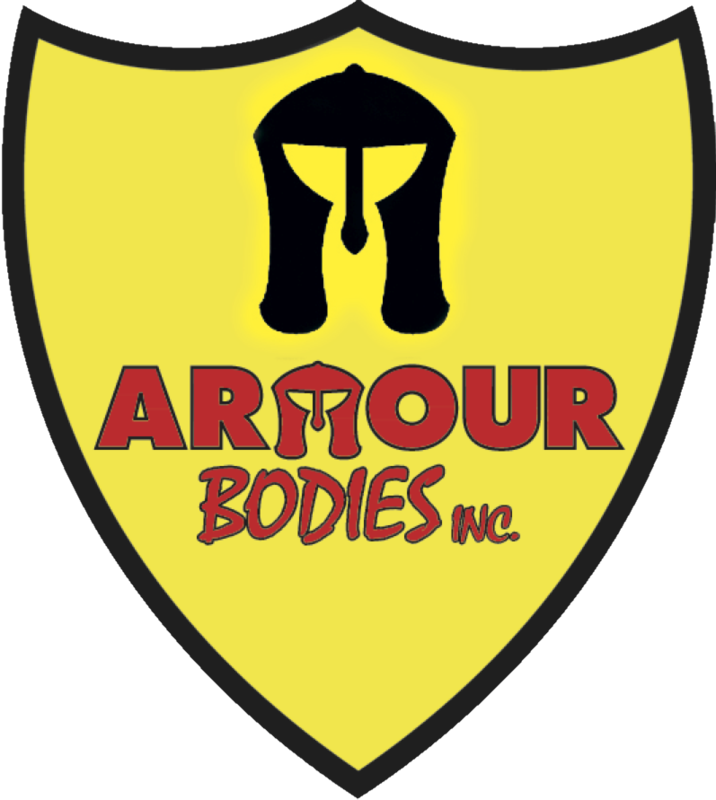 Woodcraft is the US distributor for Armour Bodies fairings. These things have been amazing. They have held up through crashes, simple drops, rubbing around in the trailer, etc. I have now purchased Armour Bodies for every bike I have put on the track, they are that good. Solid construction, flexible and they fit very nicely. I am extremely pleased to announce that they have accepted me into their racer program for 2015. I have already made my first purchase under the sponsorship and I have to say, the experience was amazing. They really treat their riders well. The experience was far better than I have come accustomed to in this field as a privateer racer. It wasn't just a matter of "hey you are giving them money, of course they are nice". Spend time in the racing field and you will find a lot of vendors don't subscribe to that opinion. Woodcraft went above and beyond to SAVE me money as part of the conversation. I am looking forward to a very busy and exciting season in 2015. I am extremely pleased that Woodcraft is along with me for the journey. In a few days, several positions on the AFM Board of Directors are going to be up for voting. I am running for the SF Chapter Director. If you are a member of the AFM, I would appreciate your vote. My goal is to help promote the AFM to Northern California and increase our numbers in the coming years. Tim Scarrott started an excellent campaign last year to promote the AFM and that campaign needs to continue. I strongly believe that through media, social media and the technology of today we can bring our membership count back up and improve our club tremendously. I have been watching our current board and how our club has been run for the past couple of years and I see that we are fairly stuck in the past when it comes to media, marketing and getting the attention that we need to keep our membership count up. While the board has been doing a great job in some areas, we are sorely lacking in attention outside of our existing membership and that needs to change if we are going to stay solvent in the years to come. I know how to make those changes. We all know that the AFM is currently struggling financially. There are a number of plans to help that situation but at the end of the day we need more members. To get members we need attention from outside of our club. We need new riders to recognize that our club exists and how great it is to be a part of it. To learn more about the AFM, please visit their website at http://afmracing.org. I am extremely pleased to announce a new sponsor for 2015; Amsoil. Amsoil has been making lubricants for over 40 years and I am proud to have them as a sponsor for my 2015 race season. When I first started attending track days I had no idea the stresses that are put on a motorcycle engine on the race track. I always considered oil changes to be one of those "when you get to it" types of maintenance activities. Fortunately I have learned a lot since then. Now that I am racing it has stepped up even from track days. When I was just doing track days I would count the days since the last oil change and every 8-9 track days I would change the oil and change the filter every other oil change. Now that I am racing and putting even more stress on the engine I am no longer counting days, I count hours. How many hours the engine has been running and based on that number, deciding when to change the oil and the filter. In addition to the frequency of oil changes, the type of oil you choose can have a huge impact on the performance of the engine. Since a motorcycle uses the same oil for the transmission and the engine itself, the oil impacts how well the transmission works. Some engines work better with some oils. My former race bike, a 2005 GSXR 600, ran great on Rock Oil. However it did not like pure synthetics very much. It would get harder to shift, pop into false neutrals, etc. My current race bike (2011 ZX-10R) on the other hand does not like Rock Oil or Motul very much. Again, this would present as rough shifts and false neutrals. So choosing an oil is not just about which is cheapest, which will last longest, etc. It is about choosing an oil that works well with you and your motorcycle. I will be reporting back here as the season progresses to let everyone know how both of my race bikes like the Amsoil oils. I have used them before (prior to racing) and expect no issues. I am extremely pleased to announce that Shorai Batteries has agreed to sponsor me for the 2015 season. I have been using Shorai Batteries since 2012 when I first killed the OEM battery on my 2011 ZX-10R. I had an issue with draining my battery while transporting my bike to the track and after about the fourth time my OEM battery gave it up. After I installed the Shorai I continued to have an issue draining the battery during transport (due to me leaving the key on after loading the bike) but the Shorai kept coming back. Now, two years later the battery is still going strong. That doesn't even mention the weight difference. It is amazing how light these batteries are! If you are in the market for a battery I strongly suggest you to to Shorai Batteries and take a look. The 2015 Racing Season is shaping up to be the best one yet. I am very happy to announce that I am adding Sun Star Sprockets and Chains to my list of Sponsors for 2015. While Sun Star is more well known for their off road sprockets and chains, I am looking forward to testing their road racing ability in the coming season. Expect to read a review on the sprockets and the chains soon as I install them on my 2008 MartianCraft Yamaha R45. I will follow that review up about mid-year once I have had a chance to put them through their paces. I am very pleased to announce the addition of Engine Ice to my list of sponsors for 2015. Sponsors are extremely important to racers. It is a great relationship that allows the sponsor to showcase their products and in turn the sponsors help the racer to racer more often, with better equipment and give him a greater opportunity to win. Engine heat can be a vicious problem on the race track. When we are at Thunderhill in July and the air temperature is well over 120F, engine heat can cause you to end your race prematurely. It is vitally important that a race engine run more than just plain water. Engine Ice Hi-Performance Coolant is biodegradable, phosphate free & non-toxic; it typically reduces operating race temperatures and effectively keeping boil over temperatures to 256°F or less and freeze-up protection to -26° F.
"Right out of the bottle" Engine Ice Hi-Performance Coolant is ready to provide you with dependable horsepower and is proven to reduce operating temperatures. They key to horsepower is not losing it! Engine Ice Hi-Performance Coolant is engineered to keep your operating temperatures at optimum performance to not lose power through excess heat. 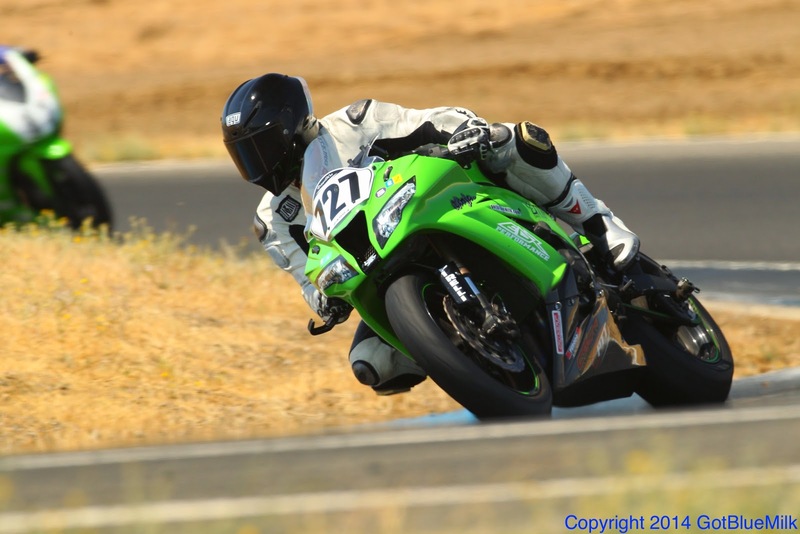 The 6th Round of AFM was held at Sonoma Raceway in Sonoma, CA. Sonoma Raceway is easily the most well known track that we race at. It was formerly known as Infineon for 10 years and Sears Point before that. Sonoma is the most technical and demanding track on the AFM calendar. I have always enjoyed this track as horsepower doesn’t count for very much. There is no real “straight away” at Sonoma. A couple of places where you can grab a gear or two but nothing like the front straight at Thunderhill or Buttonwillow. moan about having three rounds in a row at the same track but it has been great for me. Since I am focusing on getting up to speed on my ZX–10R, having the track be the same round to round has reduced the number of variables that I am dealing with. Between Round 4 and Round 5 I got to spend two scorching days at Thunderhill during a Keigwin’s Track event to practice on my lap times. I spent those days working my lines and working the 450 out of my head. The improvements have been extremely pleasing to me. This was an interesting round for me. This was my third round without my 450. At this point, I am not in a position to threaten the points leaders even if I got the bike back and took first in the final three rounds. Therefore, I decided to dedicate my track and racing time to my ZX–10R. Originally, I kept this bike as a track bike. Something to learn the “feeling” of speed so that I could translate that feeling and perception to my 450 when I raced. When I was unable to ride my 450 at Round 3 I elected to run the ZX–10R. Better to race something than nothing I told myself. I had a blast. Now at Round 4 and my 450 ride still not available, I looked towards my ZX–10R and asked myself. Why didn’t I go faster? I was actually slower on my 190 horsepower machine than I was on my 70 horsepower machine! How do you go faster on the race track? First, we start off with learning how to ride. I mean, really learn how to ride. Going beyond where is the clutch where is the brake. Learning how to look through a corner, how to feel the ground beneath your tires, becoming one with the bike. Once you have achieved that, what is next? Learning the track, known its secrets. This takes seat time at that track, it definitely helps to walk the track, several times. Round one at Buttonwillow Raceway promised to be an exciting challenge for me long before I even showed up at the race track. To start off with, Round 1 was scheduled for March 22 and March 23 of this year. Immediately after I saw the announcement from AFM, NSConference announced their dates: March 17th through March 19th. For those of you who do not know me, I do not miss NSConference, ever. Whether I am speaking or not, I am at NSConference. This year I was a speaker. I decided to make this work. This involved flying to England on Saturday, March 15th, speaking at the conference on March 18th, flying home on March 19th, driving to Buttonwillow on March 20th to practice on the 21st and race on the 22nd. On paper that sounds fine right? Jet leg is an evil demon. I knew it was going to be a factor this round but I simply had no time for it. Therefore, for the entire trip I forced myself onto the “local” schedule. Waking up at 6:00 am no matter what timezone I was in and refusing to take a nap, go to sleep early, etc. I had to make it work.